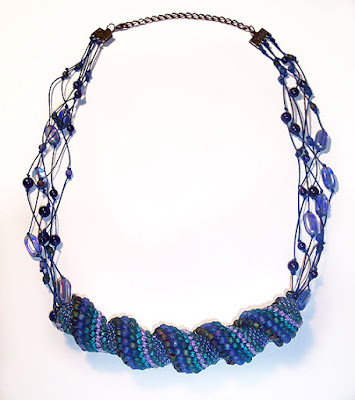 Beading Arts: Yay! "Waves" found a new home! An undulating spiral of seed beads is woven to be reminiscent of the ocean waves. Waves is lightweight and beautifully adjustable from 20 to 24 inches because of the chain closure.